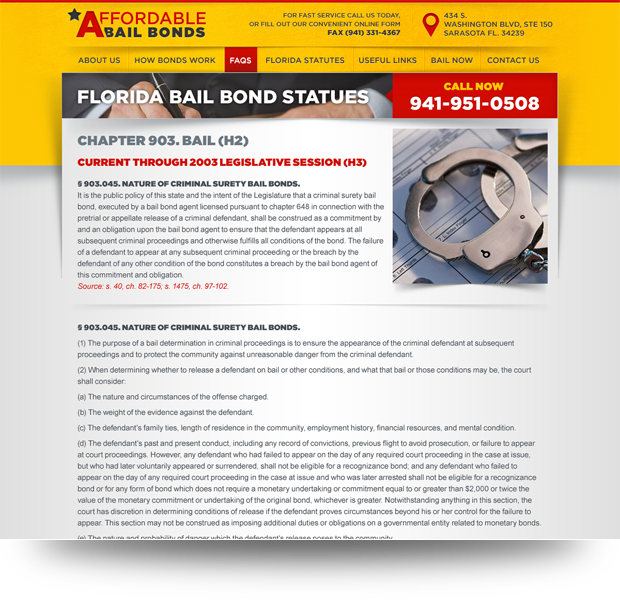 Affordable Bail Bonds is a Sarasota based bail bondsman who is licensed in the state of Florida. 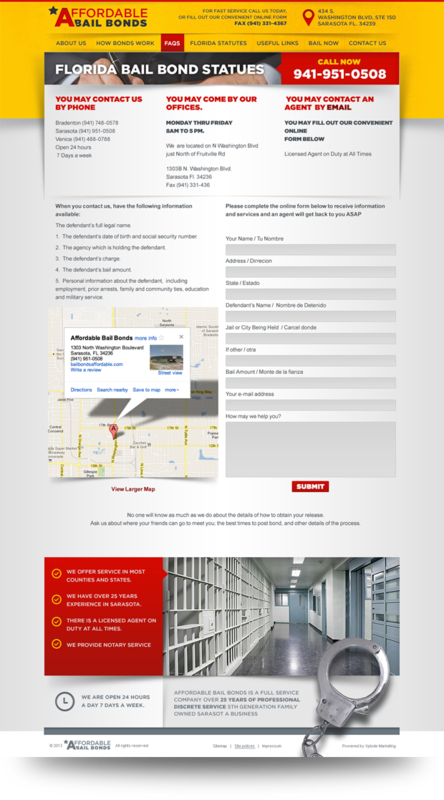 He gave us free range to design a clean and classy bail bonds website that represented his professionalism and expertise. Since building the website we’ve created an SEO program for him that is unparalleled and he is now dominating the search engines when clients search Sarasota Bail Bondsman. 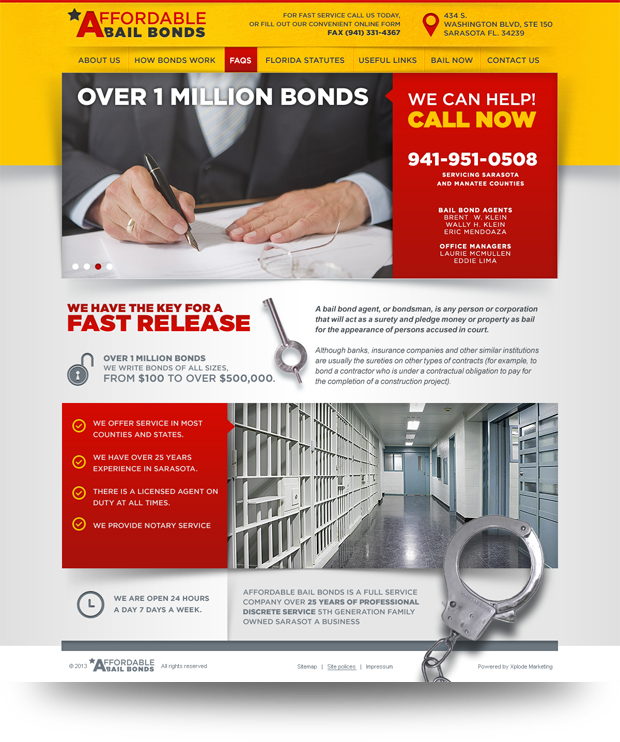 Xplode Marketing designed a unique website that allowed the Affordable Bail Bondsman website to showcase their history and abilities.  We integrated this website into a content management system that allows the client to update all pages including the blog, home page, practice areas and more. We’ve also used our SEO skills to create a program that has allowed him to be on the top for all of his practice areas. Affordable Bail Bonds have been in business for over 25 years and can write bonds anywhere from $500 to $1,000,000.